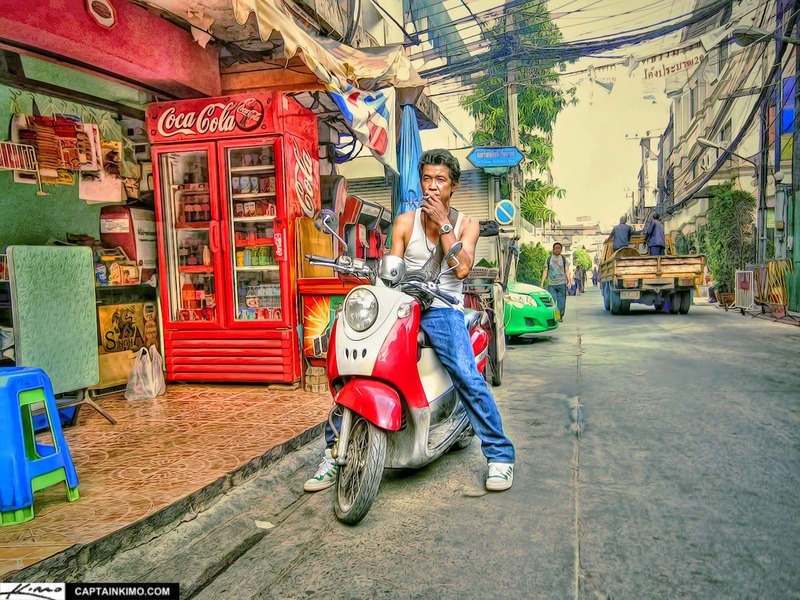 Here’s a single exposure HDR photo taken from a walk around Bangkok’s streets. I enjoy walking down the ally because there is so much to photograph. The streets alone are filled with amazing textures and interesting people. I shot this guy smoking while he was waiting for the shop owner. It was kinda funny how he was sitting on a red and white scooter, coincidentally the same color as the Marlboro logo. If Thailand has a Marlboro man this guy is it.